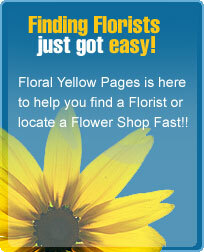 Find a Florist by Zip Code is just one of many options that can be done on floral yellow pages. There's nothing better than just entering a zip code of your general area and getting all the florists close to you. This also helps when trying to find a family member or loved one gift. If your sending a gift all you would need is a zip code and than your be able to contact a florist or flower shop in that area that can do the arrangements for you When doing a search now days you need to know one of the three the city, state, or zip code that helps narrow down the search to much needed results. 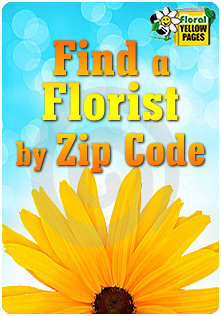 That's why Find a Florist by Zip Code is just one of many options that will produce good search results. Floral Yellow Pages offers the find a florist by zip code option which can make things a lot easier when searching our directory. Most directories don't offer nowhere near the options that we offer. We want people to come to our site and enjoy finding what they're looking for. that's why have so many different options find a florist by state is one find a florist by city is another and now you have find a florist by zip code.